street performance as “heavy duty”. 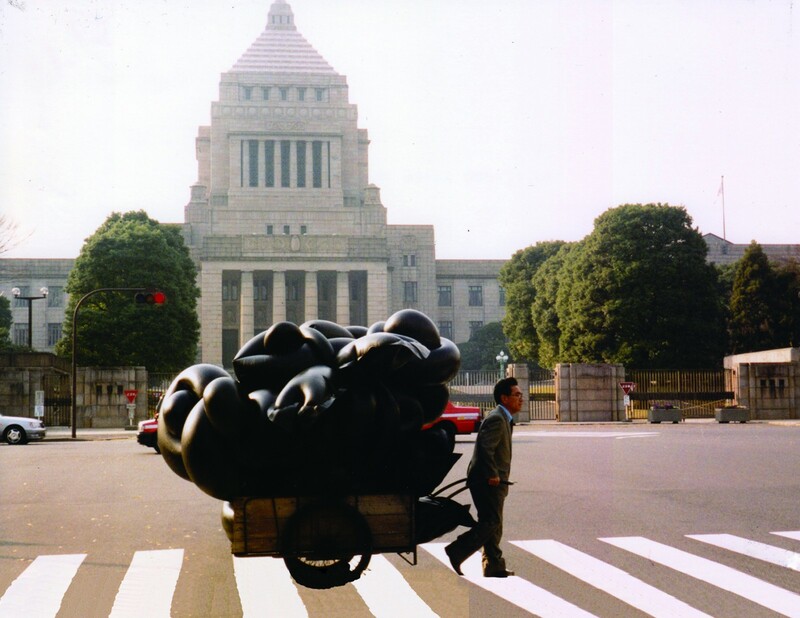 In this performance,he is wearing business suits,and walking around with carrying a tire tube which is over 20kg heavy. Also in 2011, Sakai has started the work”Radioactive heavy duty”.He has visited unclear plants in japan,including Fukushima,and recorded his performance with videos and photos.